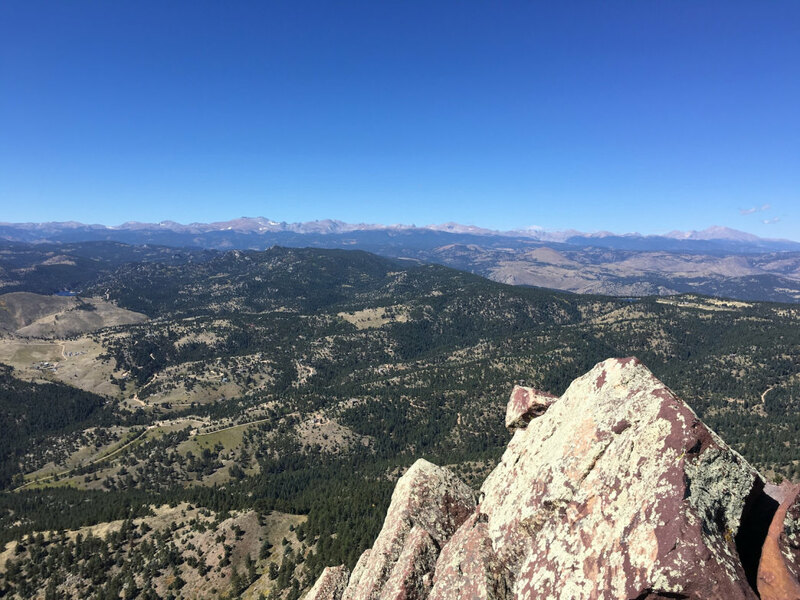 Looking at the skyline west of Boulder, you’ll see a string of summits that poke up like jewels bedecking the top of a crown. 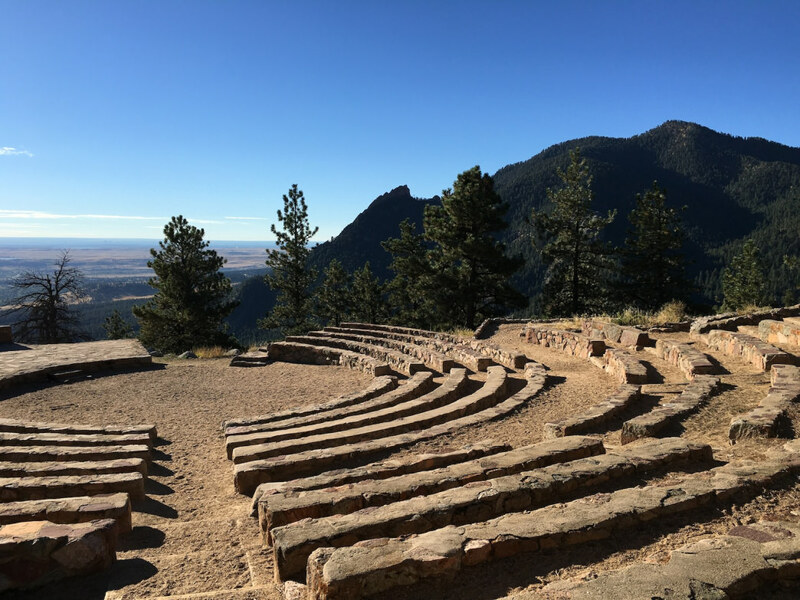 The five highest peaks—Mount Sanitas (6,383 feet), Flagstaff Mountain (6,983 feet), Green Mountain (8,150 feet), Bear Peak (8,459 feet), and South Boulder Peak (8,549 feet)—stand like sentinels overlooking the plains, following an undulating ridgeline that gradually increases in height as it rolls from downtown Boulder south to Eldorado Springs. Perhaps you’ve stood on each of these mountains at one time or another. Maybe you’ve even combined Bear and South Boulder peaks in some way. But have you ever considered knocking off all five in one day? Ask around and you’ll hear a variety of opinions on how best to tackle this grueling feat. We recommend a north to south approach, which builds in intensity and takes you away from the temptations of town before your legs beg for a break. 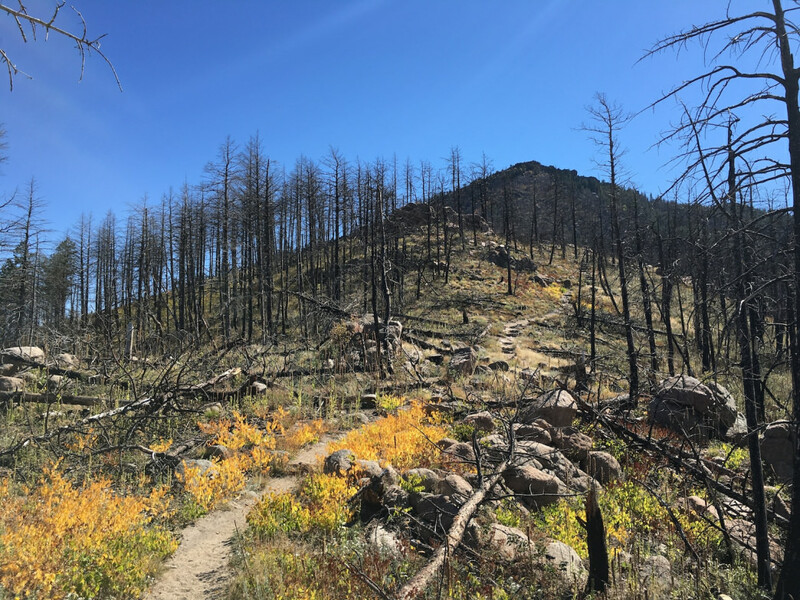 Our suggested route traverses 15.6 miles, from the base of Sanitas to Eldorado Springs, with 6,294 feet of elevation gain. Allow 8-10 hours at a steady pace, or even more time if you like to take a lot of breaks. Shuttle a car to Eldorado Springs, or sweet-talk someone into picking you up at the finish line. This route, while possible year-round, is ideal in the fall, when cooler temperatures help prevent your blood from boiling and keep afternoon thunderstorms at bay. The only downside is a pre-dawn start—but this can also be a perk if you like peak-top sunrises (and who doesn’t?). Summer is also a fine time, thought may be a tad hot. Just start super early to beat the heat, which often builds into thunderheads that spit lightning onto high peaks. In winter or spring, be prepared for mud, slush, and snow. Fuel up—this is going to be a very long day. Carry three liters of water and stuff your pack with at least 1,500–2,000 calories of snacks. If you start in the dark, it will be easy to remember a headlamp—but don’t forget sunglasses, sunscreen, and a hat in your early morning haze. Pack layers since you’ll likely be hot-cold-hot-cold all day, and might encounter blustery winds up high. Trail running shoes or light hikers should do the trick for your feet, unless you prefer something with more support. Always bring a waterproof shell even when the forecast says zero percent chance of rain. This is Colorado, after all, where weather can be fickle. Micro-spikes are a good idea if you expect to encounter any snow. 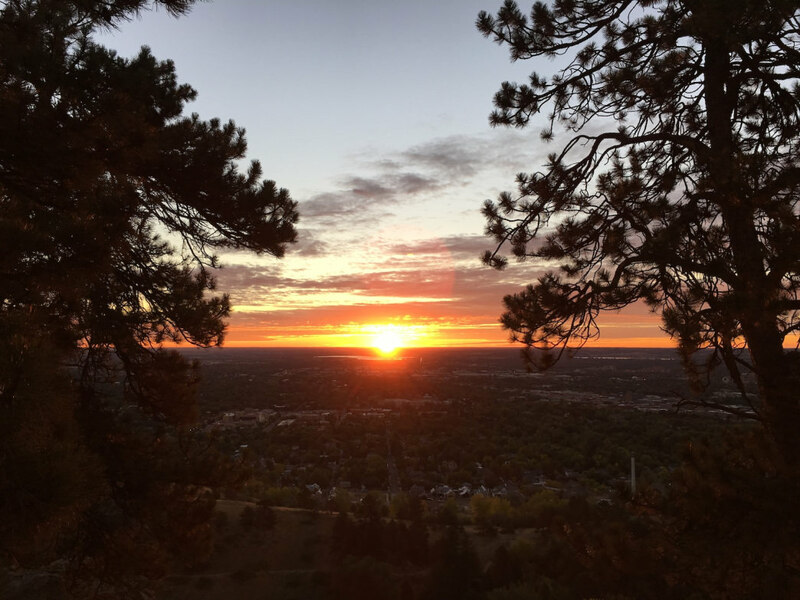 Mount Sanitas: Start at the Goat Trail trailhead at 5th and Forest, where you can leave your car. It might seem surreal at first to hike in the dark, but you’ll quickly get into a groove. 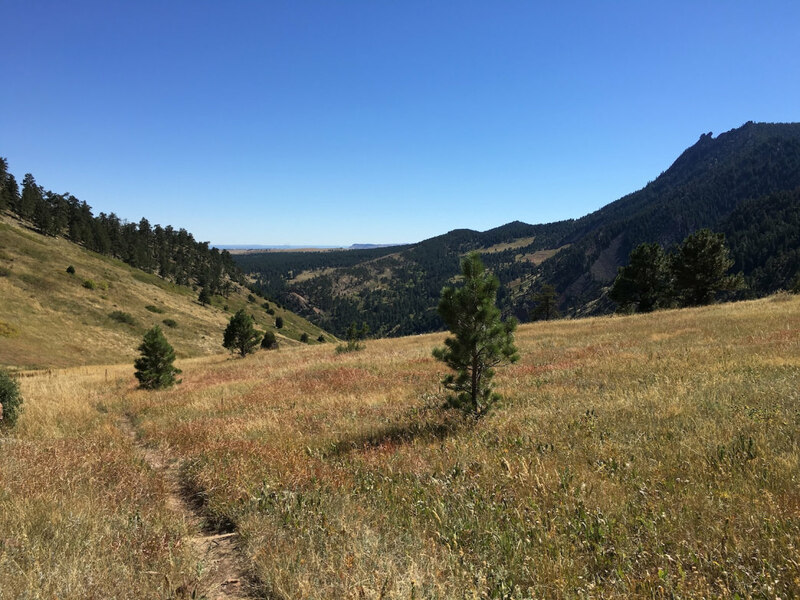 When you get to Sanitas Valley, take a right to head up the East Ridge Trail, which will wake you up with steep switchbacks that wind up the mountain’s rock-riddled flanks. The route snakes through a few tricky outcroppings that can be difficult to navigate in the dark, so take your time and turn your headlight on high. If you’re lucky, you’ll reach the summit just as the rising sun starts to light up the eastern sky. Enjoy dawn but don’t dawdle—you have many more miles to go. Descend via the trail on the "back side" (opposite from where you came), which follows the south ridge, plummeting steeply to Sunshine Canyon. Pause here and there to peek at the rising sun. After descending what seems like an endless series of steep steps, cross a bridge over an irrigation ditch, and then take a right at the fork. Exit the trailhead by the covered picnic shelter, and then follow the path that parallels Sunshine Canyon Road, crossing over to Centennial Trailhead. Flagstaff Mountain: To get to Flagstaff, first you have to hike over the Red Rocks Trail. Follow the signs from Centennial Trailhead for this short up-and-over route, with a bench midway where you can rest below the rugged outcroppings that resemble a dinosaur’s back. Descend the other side to Settler’s Park, then hang a right at the bike path and follow it to Eben G. Fine Park. Walk to the east end of Eben G. Fine and exit onto Arapahoe. Directly across the traffic circle at the entrance, you’ll see a dirt road with a signpost that says 300—308. Follow this to the Viewpoint Trailhead, and stay right at the fork to follow the trail that leads you up to Panorama Point. Cross Flagstaff Road and you’ll find the Flagstaff Trail on the other side. Just beyond here is a good spot for a bathroom break. Follow signs for the Flagstaff Trail. Soon you’ll encounter a confusing fork, with a big boulder in front of it. Turn right (left would lead you down into Gregory Canyon). The Flagstaff Trail meanders through ponderosa pine forest, crossing Flagstaff Road several times on its way up the mountain. Offshoots here and there lead to overlooks and bouldering areas. Follow your nose to stay on the main trail. Eventually you’ll run into a quiet paved road that leads to the Flagstaff "summit," although the official peak location is bit vague. 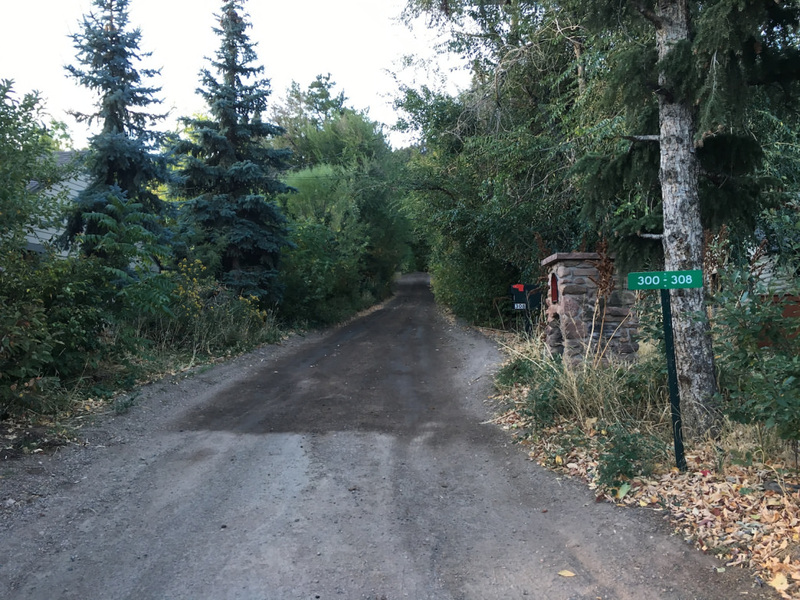 We suggest turning right on this road and following it to the Sunrise Amphitheater, where you can relax for a few minutes and picture happy couples exchanging wedding vows overlooking the town of Boulder and beyond. This is a good time to slather on sunscreen if you haven’t already. When you’re ready, head back down the road the way you came, then pick up the trail on the right by the stone memorial bench. Follow this to the Ute Trail, following the left fork. Enjoy this brief stretch of downhill—it will be your last rest for a while. Green Mountain: Once you reach Flagstaff Road, cross it and say goodbye to pavement for the rest of the day (hallelujah!). Hop on the Ranger Trail and start heading up Green. It starts as a pleasant stroll through the trees, and in autumn the ground is dappled with fallen leaves. As the trail starts to tilt up into a steep climb, pace yourself. You still have a long way to go. 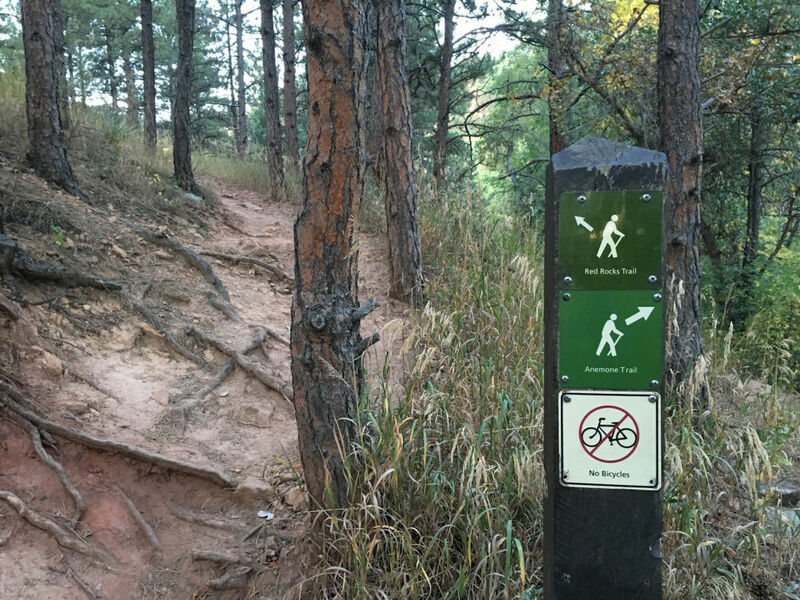 Follow signs for the Green Mountain West Ridge Trail. 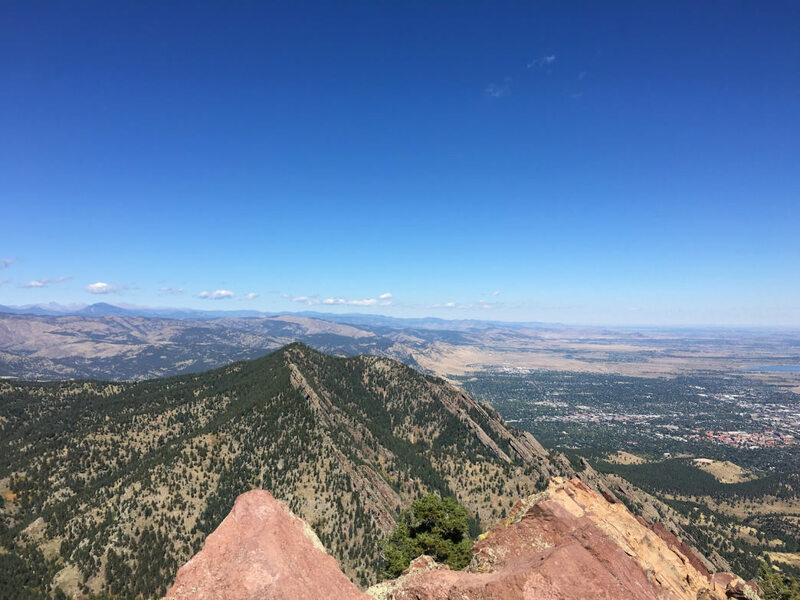 Just when your legs start to feel like lead, you’ll get a view of Flagstaff Road and Mount Sanitas to the north, showing how far you’ve come already. Pat yourself on the back and keep going—no one said this would be easy. Soon the Continental Divide will start to peek into view. Keep following the West Ridge Trail until you reach the summit of Green. Here you can scramble to the rock pile on the tippy top, where a plaque points out all the peaks in view. Bear Peak : Now comes the real kicker. Getting from Green to Bear is a beast. Head back down the West Ridge Trail and follow signs for the Green-Bear Trail, which goes down, down, down so far you might think you’ve made a mistake. Fortunately this stretch of trail is beautiful, particularly in fall when it lights up with yellow leaves. 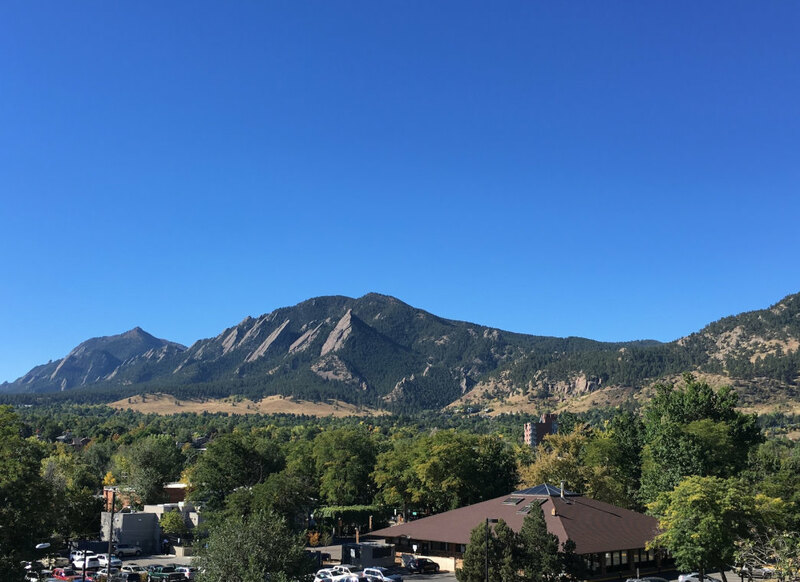 Soon your two final objectives come into view—Bear Peak on the left and South Boulder Peak on the right. Eventually you’ll come to a junction, where you’ll turn right onto Bear Peak West Ridge Trail. Then follow signs that point to Bear Peak Summit. You’ll approach from the west, passing through an eerie burn zone, where ghosts of trees stand withered and charred. The final approach is steep, with lumpy rock outcroppings that look like dollops of whipped cream. You can tell someone had fun designing this route. 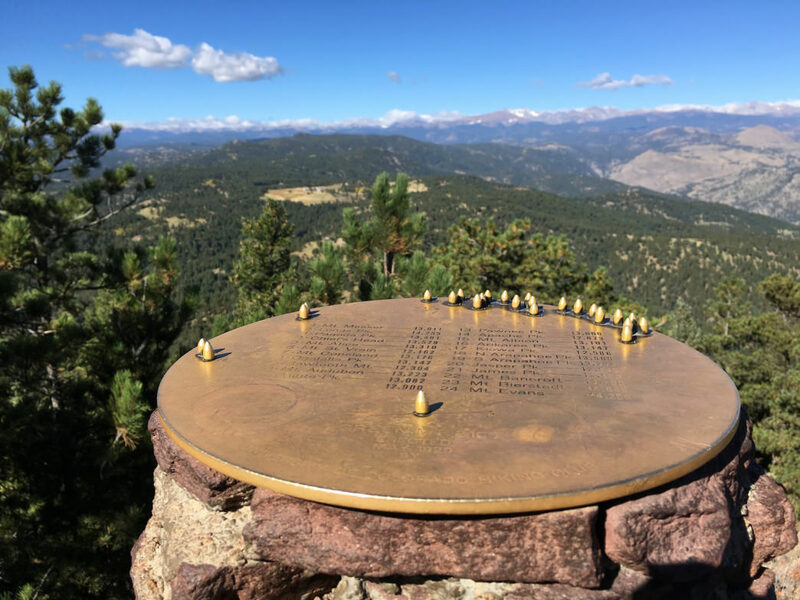 Look north toward Green Mountain to gauge how close you are the top of Bear Peak, which stands 300 feet taller. Follow signs to the summit. If you’re starting to get sleepy, the final slither across the rocky ridge to the peak will jolt you awake. The rocks feel smooth, like they’ve been polished by thousands of hands and feet. This is the most exposed summit of the bunch. Look south to see South Boulder Peak. One more to go. South Boulder Peak : You’ll need less than 30 more minutes to bag your fifth and final summit. Descend the way you came, wrapping around the west side of Bear, and follow the sign for South Boulder Peak and Shadow Canyon. This trail leads down to the saddle between Bear and South Boulder. Note the junction with Shadow Canyon—you’ll come back to this for your final descent. Your legs are sure to burn on the final push. Keep going strong—you’re almost there. When you get to the top, put up a hand and high-five your hometown. Bam. The Long Way Down : Now is when you might get hungry or start dreaming of a beer. And the way down is not easy—your quads are going to hurt. Head back down to the saddle and turn right into Shadow Canyon, a long, steep descent that seems to go on forever. Just imagine if you’d had to climb this to start the day. Many people finish this hike at the South Mesa Trailhead. But here’s an insider tip: Take a shortcut to finish in Eldorado Springs. After emerging from Shadow Canyon, you’ll pass a boarded-up cabin and the trail will turn into a fireroad, and soon, there will be a meadow on the right. The cutoff trail is also on the right, where the fireroad takes a sharp turn to the left. It’s subtle, marked with a small sign that says "Dogs must be on leash." Take this turn to the right. The end is in sight. Before too long the cute town of Eldorado Springs will appear in the valley below you. Just keeping pushing on so your feet don’t fail you—it’s almost over. Follow the trail down through the brush, which pinches in at the sides and scrapes your legs. Just when you start to feel a wee bit wobbly, the trail will pop out onto a quiet road in Eldorado Springs. Congratulations, you made it! Wander down the road on instinct to find your way to "downtown." Now might be a good time to head to one of Boulder’s best happy hour spots.